This guide explains how to install uTorrent in Ubuntu 18.04 Bionic Beaver. uTorrent is a torrent client which allows users to download and share files using the bittorrent protocol. 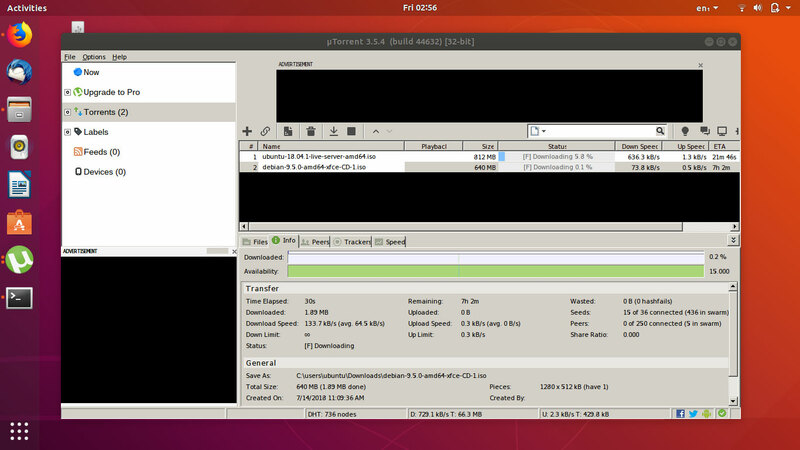 Note that, uTorrent is not the best torrent client for Ubuntu 18.04. It is unstable and display lots of ads. Instead, try transmission or qbittorrent, both are fast, and easy to use torrent client for Ubuntu that supports magnet links , bandwidth control and many other advanced options.